As my description reads on the right of the page there, I am also a RYA (Royal Yachting Association) Inland Helmsman Instructor. This is generally a one-day course (though two days can be accomodated), teaching the basics of safely skippering a vessel on our canals and rivers. 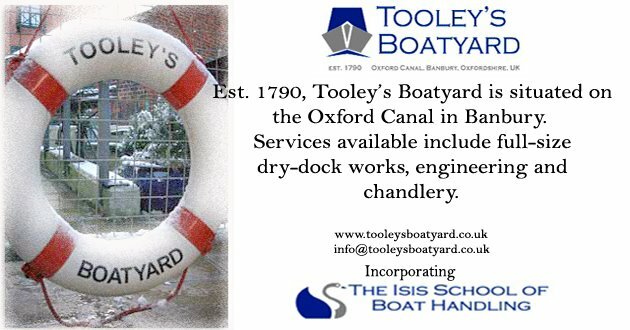 Usually, the course is run from our boatyard here in Banbury, on our sweet little 'Dancing Duck' training boat, however I am more than happy to run the course on customers' own boats. And so I found myself yesterday back on the beautiful Thames (I say 'back', as it' s where I 'cut my teeth' so to speak) at Sandford, in the company of two wonderful ladies on their wee 19ft cruiser. Having owned the boat for a few months, they fell in the love with the idea, yet found the actual moving of the boat a tad traumatic (which most people do), especially on the often fast-flowing Thames. So, armed with 'lucky' wet-weather gear (to maintain the warm sunshine), tea, coffee and cake, off we motored - firstly heading upstream through Ifley Lock and then down through the very pretty (and deep) Sandford Lock (pictured). b). Hope that there isn't a substantial flow in the river. c). Pray that a Salters trip boat isn't just 'round the bend. Anyhow, the boat did drift gently down towards the tow-path, and with some help from a convenient on-board paddle, it wasn't long before we were safely moored alongside the bank. There was an anchor on-board if needed (an essential bit of kit for river cruising), and indeed if there was a substantial flow I may have used it, though in this case it was unnecessary. It was a fun day, and the river looked glorious in the September sun, and it's not often you can recreate a breakdown mid-cruise!